THE BIG RED BUS. 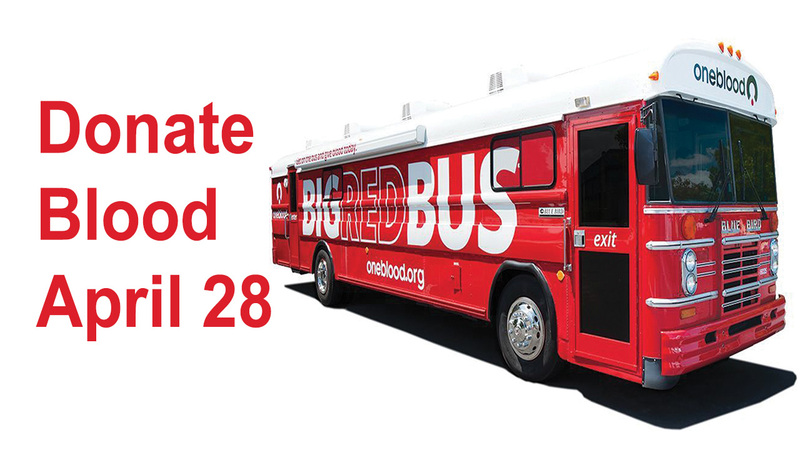 On Sunday April 28, from 9am to 1pm the Bloodmobile will be at our church. Please donate your much-needed blood by making an appointment online at Oneblood.org using Sponsor Code 12973. There will also be sign-up sheets in Mauldin Hall starting Sunday April 14. Please contact Debbie Hundley @ dhun52@hotmail.com with any questions.